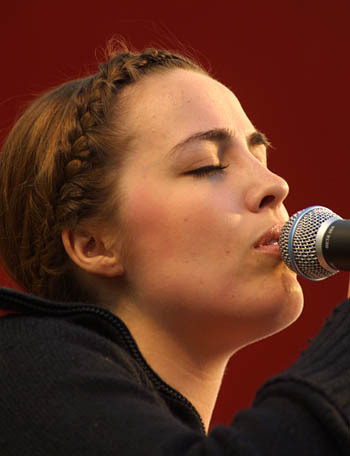 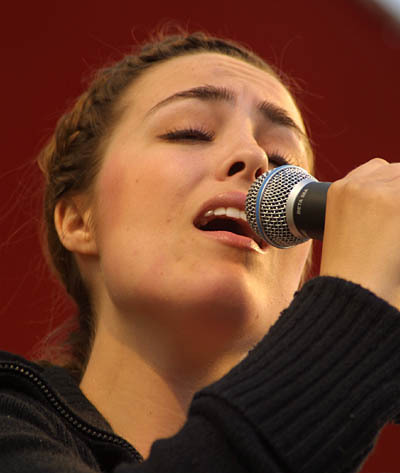 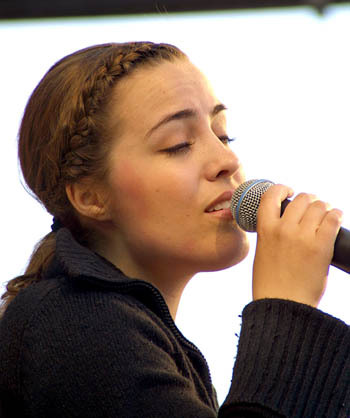 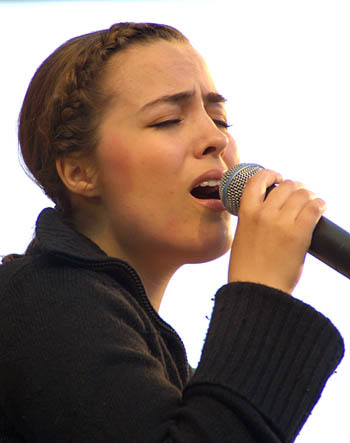 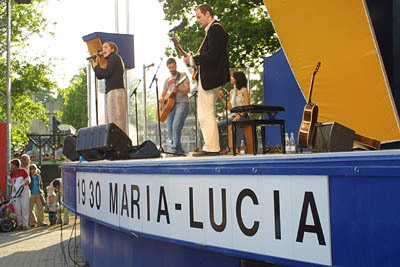 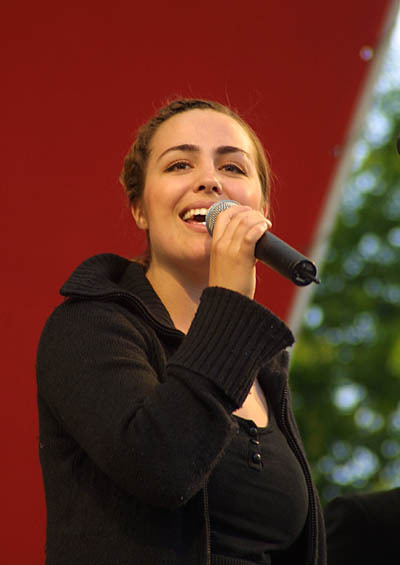 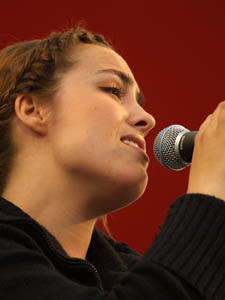 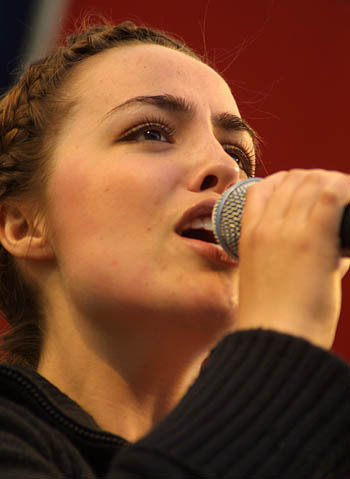 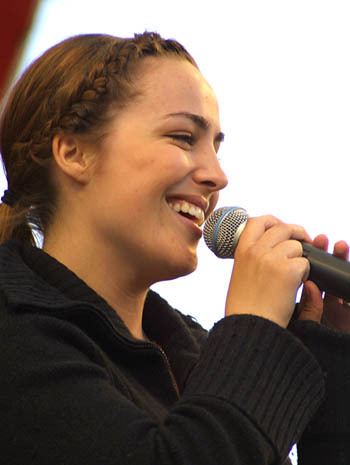 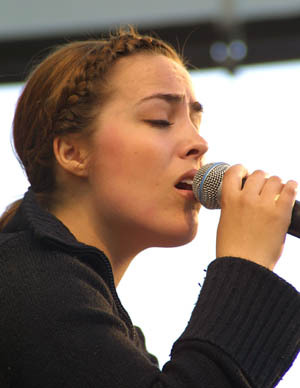 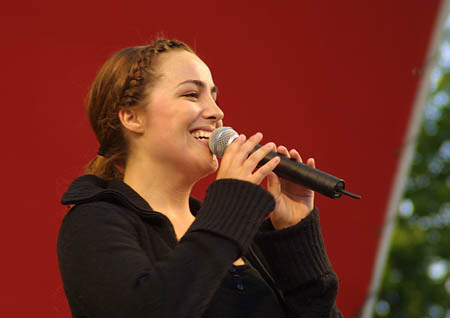 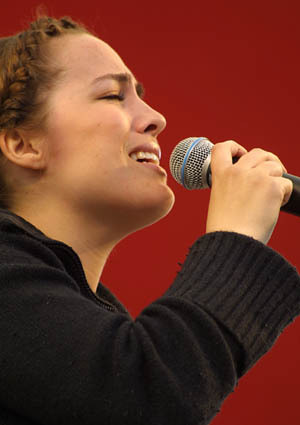 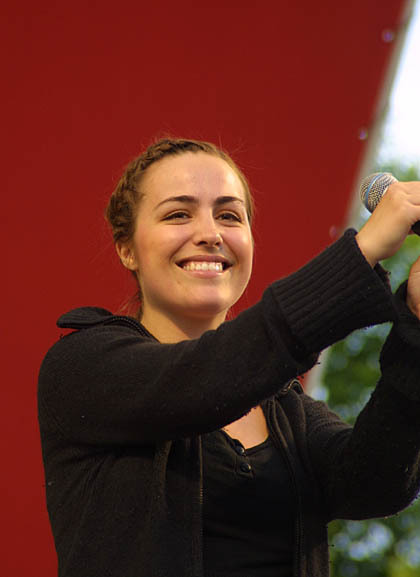 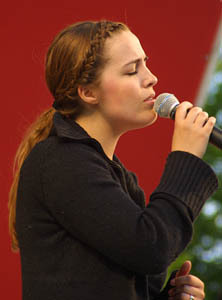 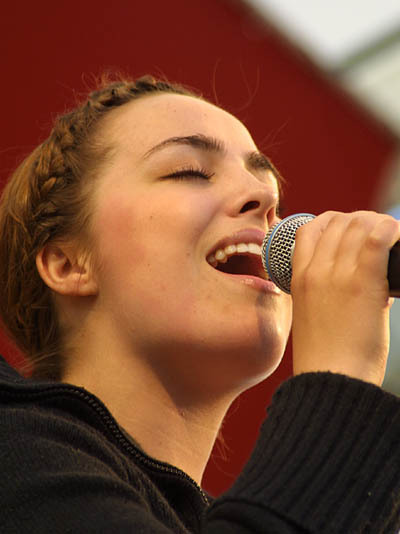 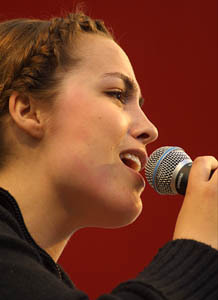 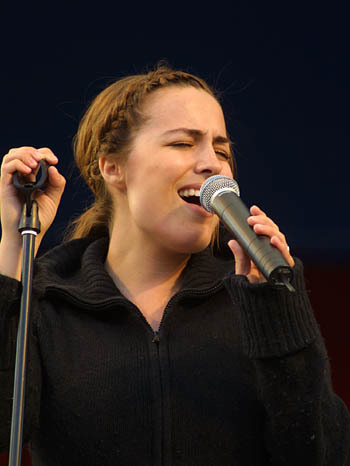 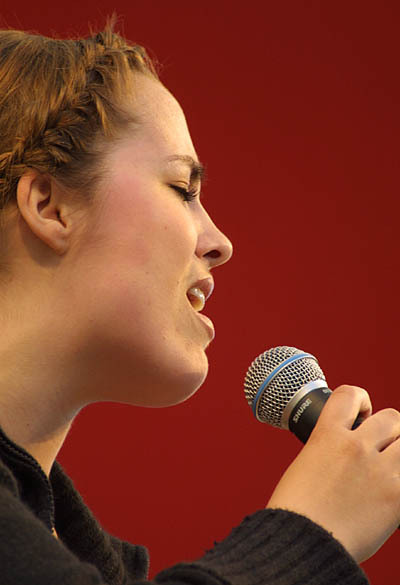 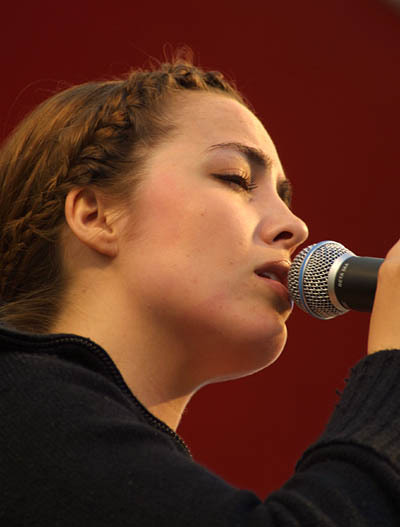 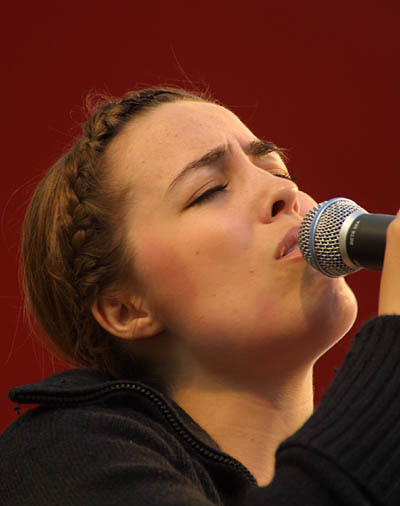 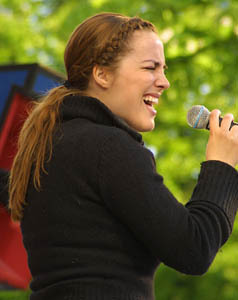 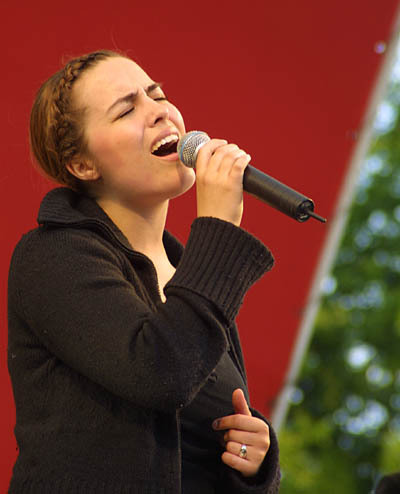 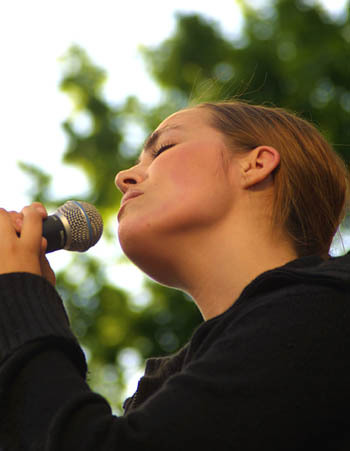 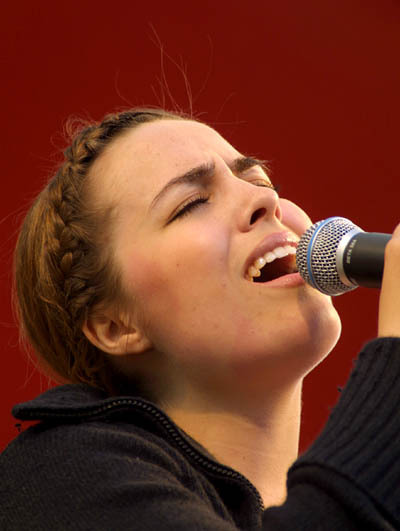 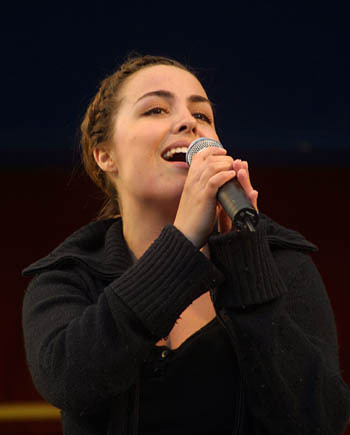 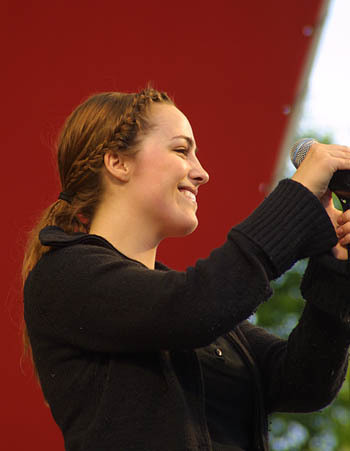 Maria Lucia Heiberg Rosenberg has some of the same artistic qualities as another Danish singer, the multi-Award winning Julie Berthelsen. 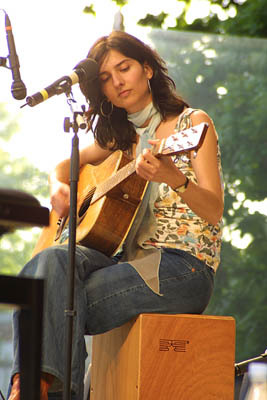 Gifted by the same talent, charm and beauty and first of all, down-to-the ground mentality. 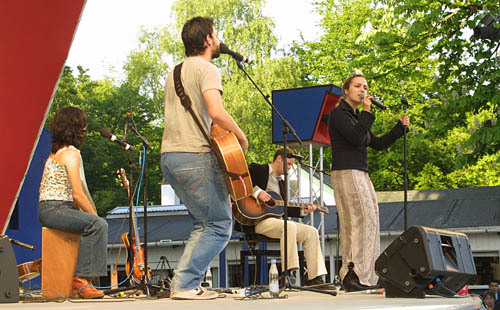 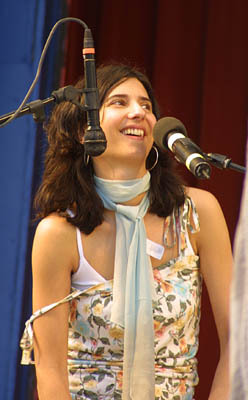 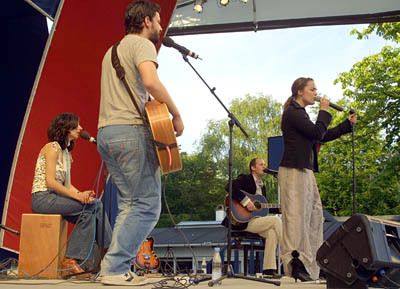 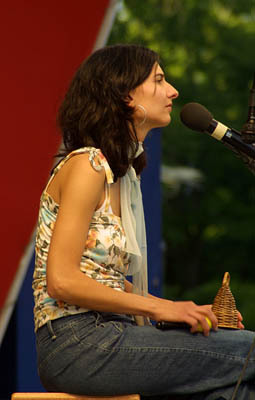 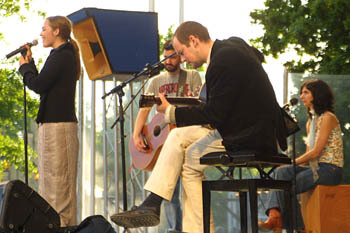 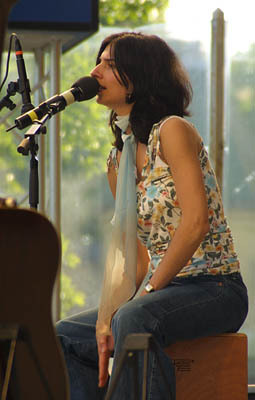 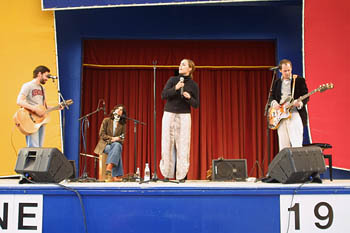 She gave a free concert at Bakken on this first Summer day of 2004 in front of an entusiasticly applauding audience, who knew all the songs by heart. 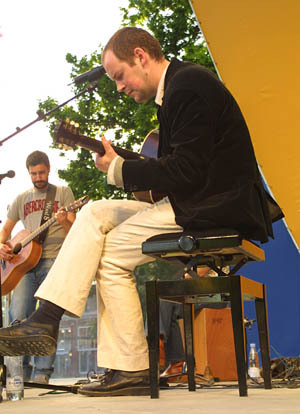 The omni-present Morten Woods backed her on acoustic guitar, - he almost reaches the level of Aske Jacoby, concerning the quality of his guitar playing. 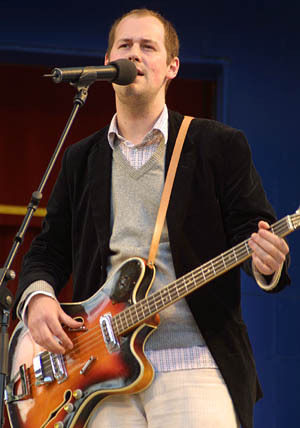 I believe that we can expect much good stuff from him in the future. 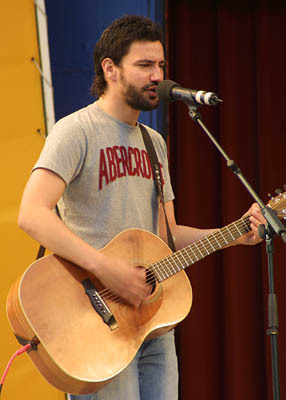 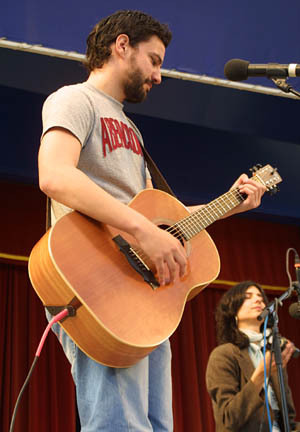 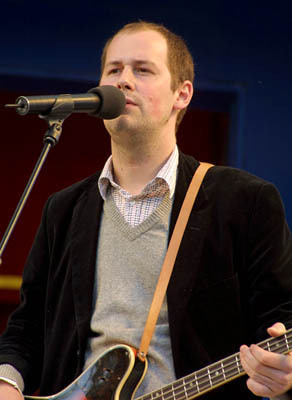 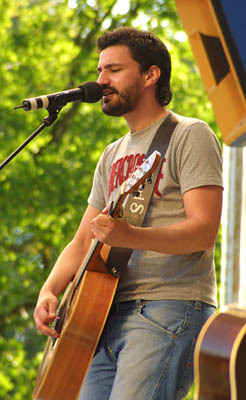 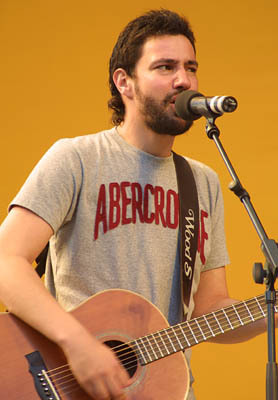 The bass player, Gustaf Ljungreen, is known from several other bands, playing a.o. 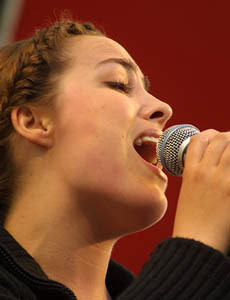 for C.V. Jørgensen and Randi Laubek. 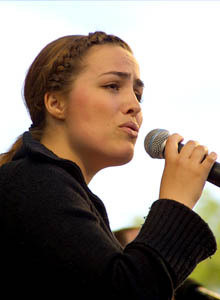 Sara, the percoussionist, is pretty new for me, but I think I've seen her as an actress as well. 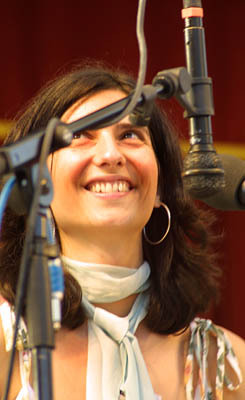 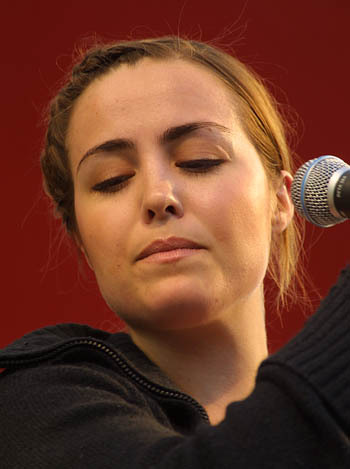 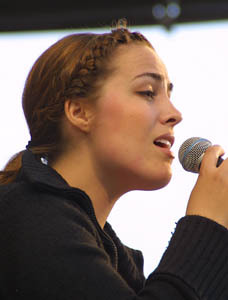 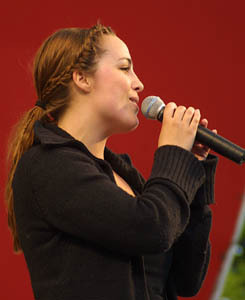 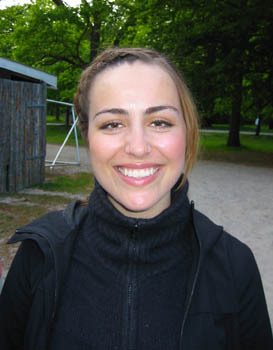 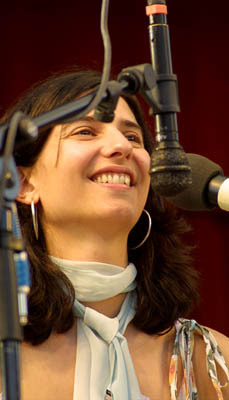 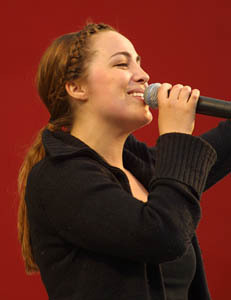 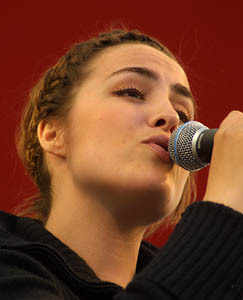 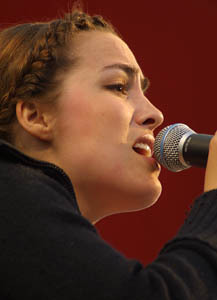 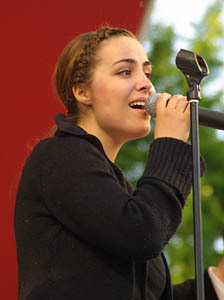 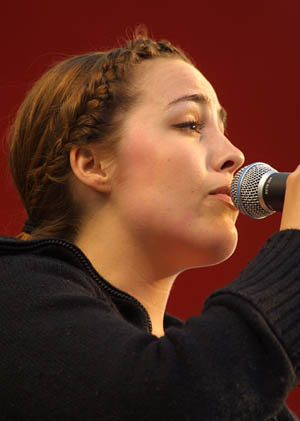 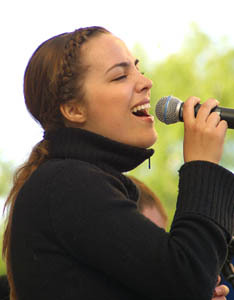 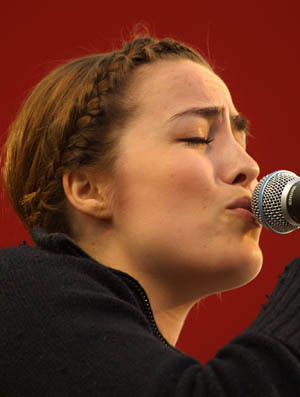 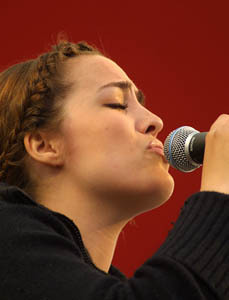 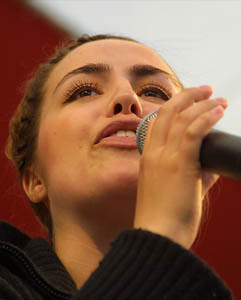 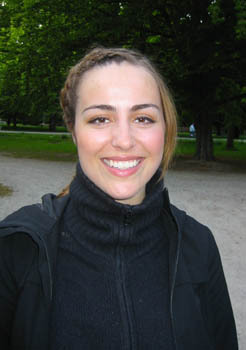 Maria Lucia was unexpectaly relaxed for an artist making her début on the Danish stages this year. 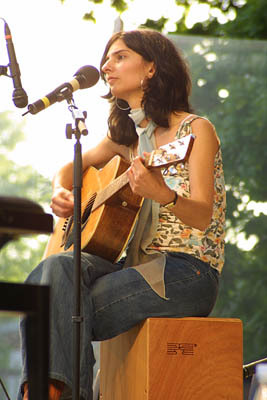 She often smiled and took her time to tell small intro stories prior to each song. 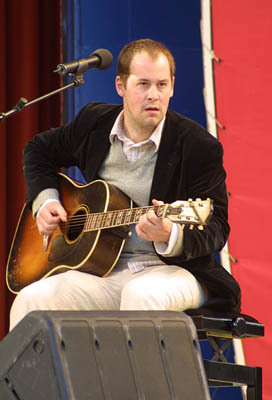 We got seven of the album's eleven songs in acoustic versions compared to the electric versions on the debut album. 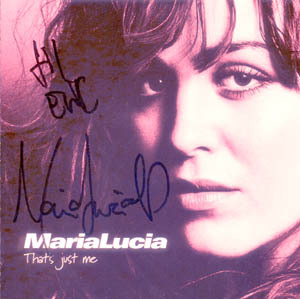 Afterwards some of the fans gathered back stage to get autographs, and I had a brief talk with Maria and her musicians.